Campbell Scientific Aust have released the CR1000 data logger. The CR1000 data logger is suitable for long-term, remote deployment under a wide range of applications and industries, including the environmental, hydrological, mining and geotechnical sectors. With 4Mb of memory standard, users can further expand the CR1000 data logger using the CFM100 CompactFlash Module. A custom designed ASIC (Application Specific Integrated Circuit) adds functionality to the CR1000 data logger while reducing board space, components and cost. The ASIC controls measurement sequence and timingand frees the CPU for faster processing and data storage. 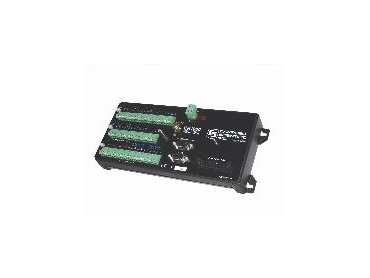 With a nine pin CS I/O port, RS-232 serial communications port and eight digital I/O terminals which can be configured to create four communications ports, the data logger has a program execution rate of 100Hz increasing up to 1500Hz in burst mode. The communication ports are capable of speeds from 300 to 115200 baud, facilitating data collecting from smart sensors, communicating between data loggers and connecting to modems or network links. The CR1000 data logger is compatible with the full range of peripherals and communications devices and features the PakBus operating system, a new packet switched communications protocol which facilitates datalogger networking. The CR1000 data logger also incorporates the CRBasic programming language. Loosely based on the familiar BASIC programming language, CRBasic combines the user friendliness of a commercial programming language with the power of the CR1000 hardware. The first in the new generation of data loggers to be released by Campbell Scientific, the CR1000 uses advanced technology to provide users good capability in terms of speed flexibility, reliability and accuracy.